On An Overgrown Path: Morton Feldman at the Woodstock Festival? Morton Feldman at the Woodstock Festival? 'We've decided to go classical with the festival this year, maybe a string quartet, more contemporary, like Morton Feldman? Very avant-garde'. 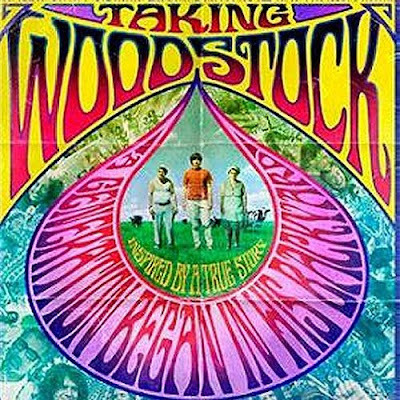 Dialogue from Ang Lee's new film Taking Woodstock, that's the theatrical release poster above. The festival that's going classical is Elliot Tiber's White Lake arts and music event which became the Woodstock Festival after plans to hold the concert in nearby Wallkill were blocked by the town's residents. The Earthlight Theatre Troupe did make it from the White Lake festival to the big one, but sadly Morton Feldman's music did not. Probably for the reason that the dialogue in the impressively researched film does not seem to be in Elliot Tiber's book of the same title on which the film is based. However the connection is plausible as Elliot Tiber studied art at Brooklyn College with Mark Rothko, and Morton Feldman's music was influenced by Rothko's paintings, including of course his choral work Rothko Chapel - see CD below. Morton Feldman and the Woodstock Festival may not have come together, but the equally unlikely combination of Pete Seeger and Benjamin Britten did. 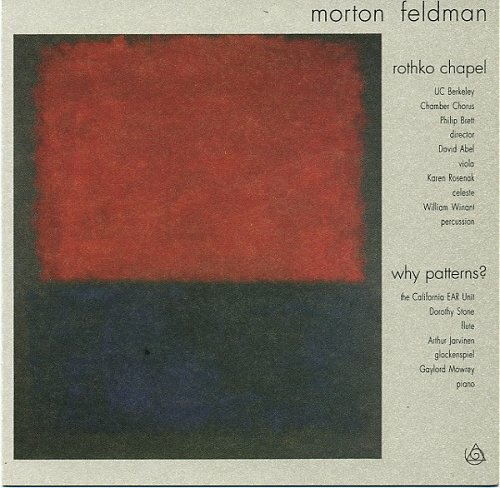 I heard Morton Feldman's "Palais de Mari" in concert once. It was like a good acid trip. Time slowed way down. I could almost feel the tectonic plates grinding against each other. I will be doing a paper called “Nondialetive Structures in the Music of Philip Glass”. I shortened the title from a more complex one to allow me the freedom to explore the topic in a freer way. In this paper, I will discuss some of the minimalist techniques that Philip Glass uses – particularly in “Music in 12 Parts” “Strung Out” “1+1” and “Einstein on the Beach.” This will include examples from the literature of additive and subtractive structures as a way to create form, as in “Music in 12 Parts.” I will be examining “Einstein on the Beach” as an allegorical LSD experience as illustrated by the La So Do theme that occurs as the audience enters, and as the work ends. I will be using philosophical statements by Glass and Robert Wilson to further illustrate the possibility of this being an allegory for such an experience. In addition, I will be using sources of Timothy Leary's explanations of what happens to the mind during actual psychotropic experiences and the religious nature of such experiences, and that Leary himself did an “Einstein based musical portrait” prior to the release of “Einstein on the Beach”. I will also be exploring some of Glass's religious and cultural affiliations. Sounds like an interesting paper. I would like to read it sometime. Thank you.